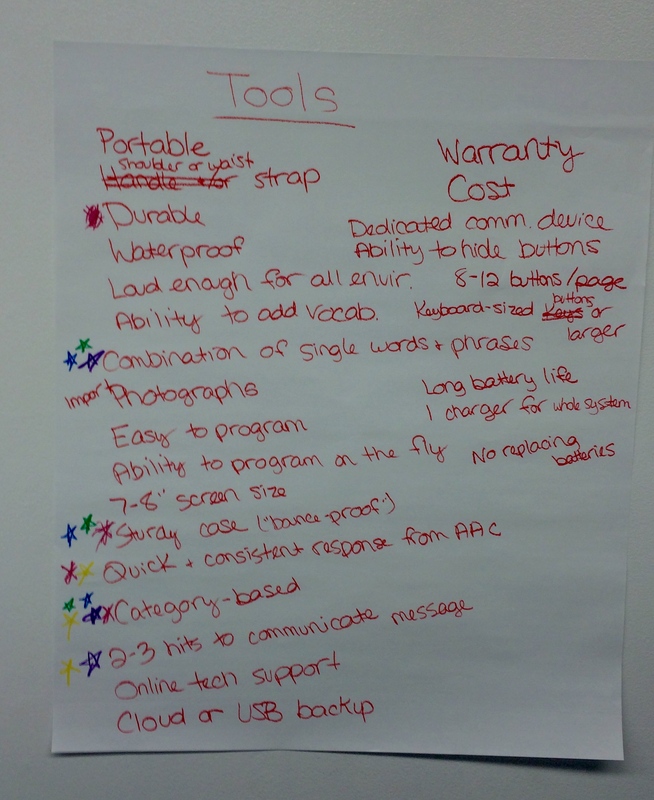 Devices, software, apps related to communication and speech. 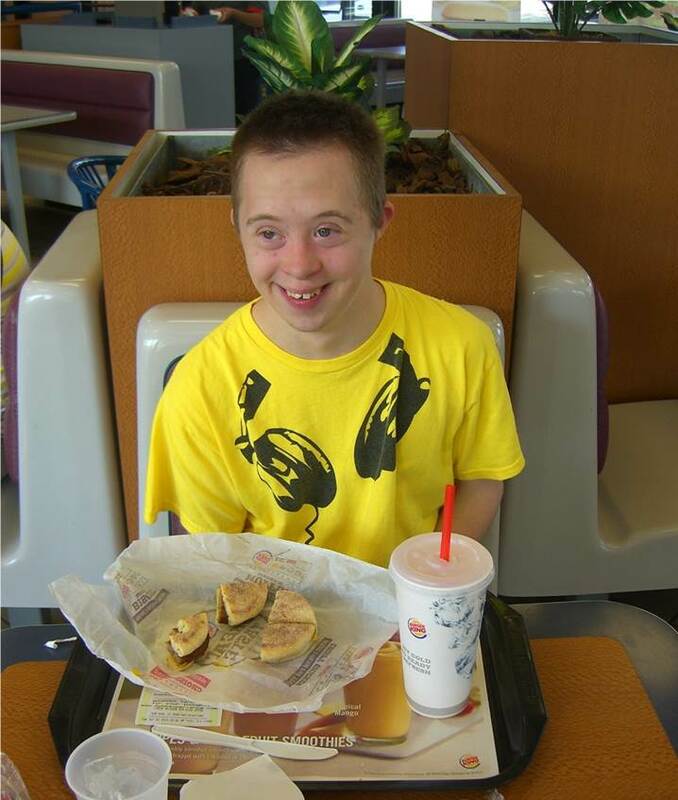 My son, Nick has Down syndrome. There came a point when I felt like we didn’t fit in with the Down syndrome support groups. We stopped going to the local support group holiday parties, play groups and other fundraising events. My son, Nick lacked speech and displayed unusual and repetitive behaviors. These stimming behaviors included tapping, shaking and throwing objects. Vocal stimming and yelling was another behavior that he exhibited. His speech delays resulted in frustration on his part, which led to behavior problems and violent meltdowns. It became apparent that this was more than just Down syndrome, when he hit puberty. We approached the elementary school IEP team about these outbursts, where he would throw things, trash the classroom along with pinching and scratching staff. It didn’t seem like any of us, could get a handle these problems both at school and in our home. The school was reluctant about getting an autism evaluation done, as they stated; “We have a primary diagnosis of Down syndrome we can work from”. Rather than push the matter with the school, we chose to have an independent evaluation done and paid for it (with some help from our private insurance), out-of-pocket. It was money well spent. 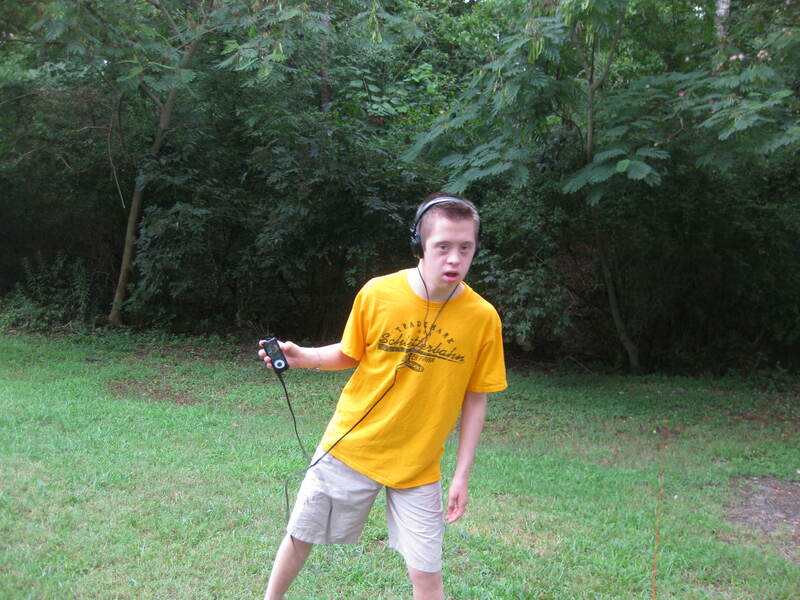 Nick got the diagnosis of Down syndrome and autism (DS-ASD). If you suspect that your child’s behaviors are more than just Down syndrome, I would strongly suggest getting a medical evaluation done by a clinician. The diagnosis of autism, was like getting the magic key, that unlocked the door to more services for our son...…. *Behavior intervention by the school district, BCBA certified autism specialist resulting in a Functional Behavior Assessment (FBA). 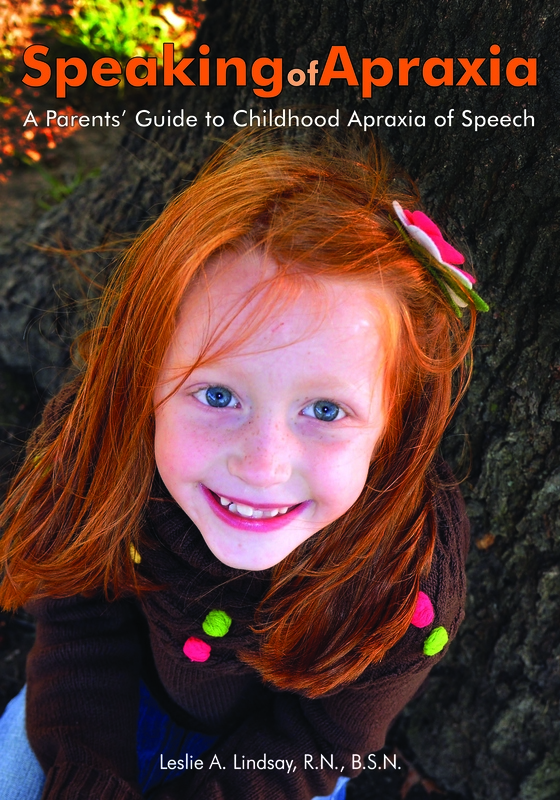 This lead to the development of a behavior plan, specifically targeting all triggers, and how to prevent & handle crisis situations during meltdowns. *Speech support and training on how to implement a Picture Exchange System (PECS), along with an Alternative Augmentative Communication (AAC) device. *Toilet Training and workshops for home support This included coaching on how to develop and implement a timed toileting schedule and visual supports to promote independent living skills inside the home. *Additional State Funding (In-Home Family Support Child Based Waiver) This funds respite care, behavior support and safety/ health equipment to support the child at home. *Federal Funding (Supplemental Security Income-SSI) A federal income supplement program funded by general tax revenues (not Social Security taxes): It is designed to help aged, blind, and disabled people, who have little or no income; and: It provides cash to meet basic needs for food, clothing, and shelter. 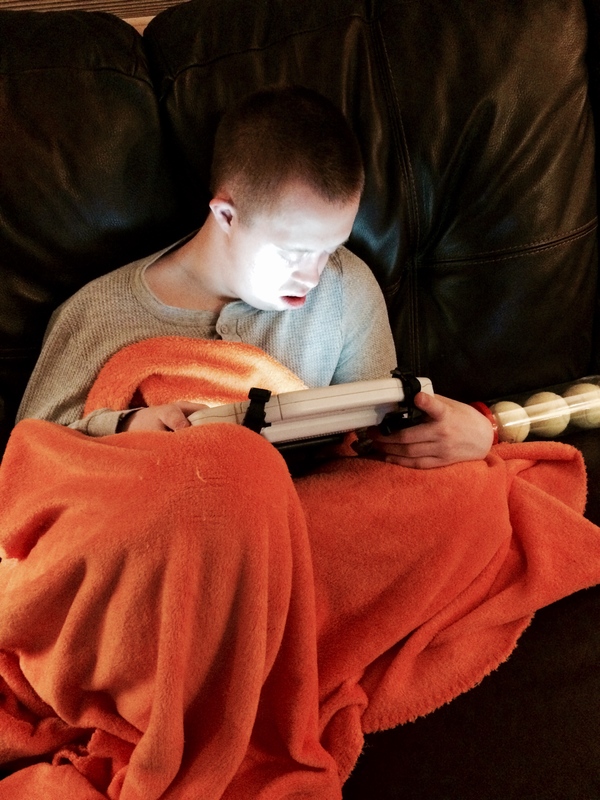 The formal, dual diagnosis of Down syndrome and autism (DS/ASD), helped school staff, therapists, medical professionals, family and friends get a better understanding of Nick’s behaviors. By getting access to these additional supports, we’ve been able to change the strategies needed to help Nick navigate his world. His communication improved, allowing him to feel understood, respected and less frustrated. As a family, we felt better assisted with the autism training and having funding for respite staff that takes some of the burden off us. The challenges of having a child with Down syndrome and autism are unique. So many parents say that they no longer fit in with the Down syndrome support groups and can’t relate to the autism groups either; they feel isolated. You as the parent, know your child best. If you suspect that your child has more than just Down syndrome, take action to get a clinical, medical evaluation and find the additional support to help your child. On my son’s 22nd birthday this past February, the little yellow bus stopped coming to the door. 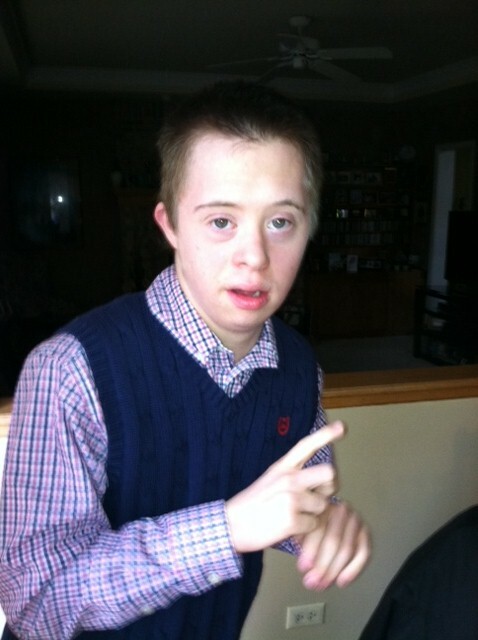 My son, Nick has Down syndrome and autism and has aged out of school. For the past 6 months, Nick has been going to an adult day program. This week I want to share some of the activities he’s been doing in this excellent program at the Keeler Center. 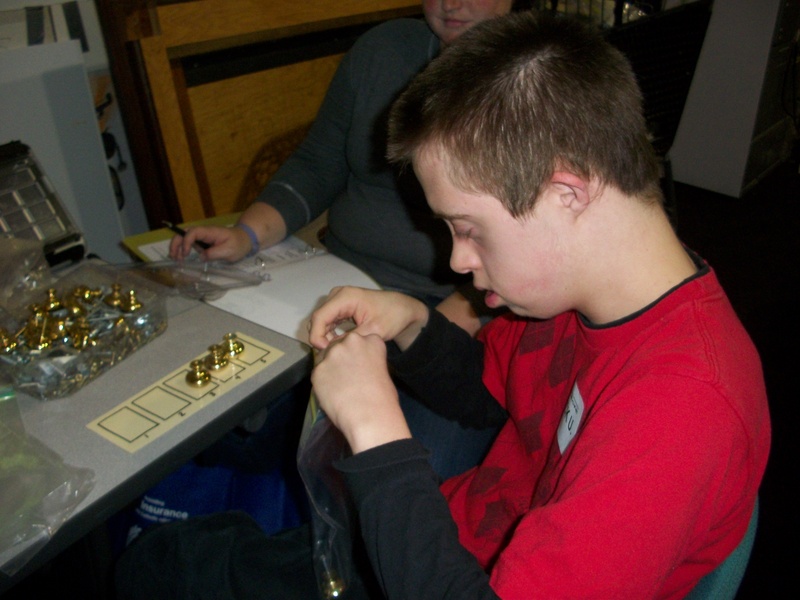 Nick’s adult day program is filled with many fulfilling activities each day. Mondays are dedicated field trip days. Outside the facility, his group does community recycling, shopping for cooking day as well as volunteer jobs. One of the sites is at a local church, (stuffing bulletins and cleaning the nursery). The other workplace is at a food pantry, where they organize and stock inventory, like dried beans, cereal and peanut butter. 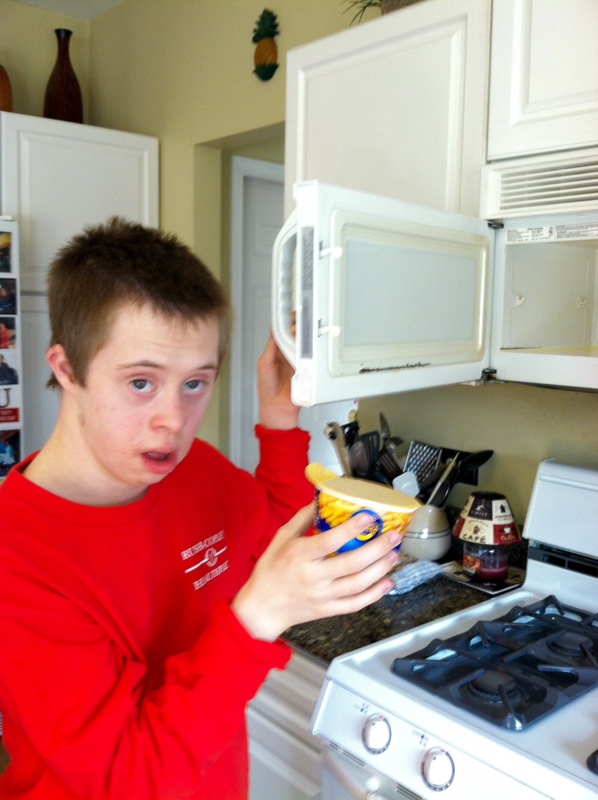 Nick has a full life and rewarding activities in his adult day program. The staff is very dedicated, caring, welcoming and patient. Yes, patient! Nick’s pulled several fire alarms the last few months. 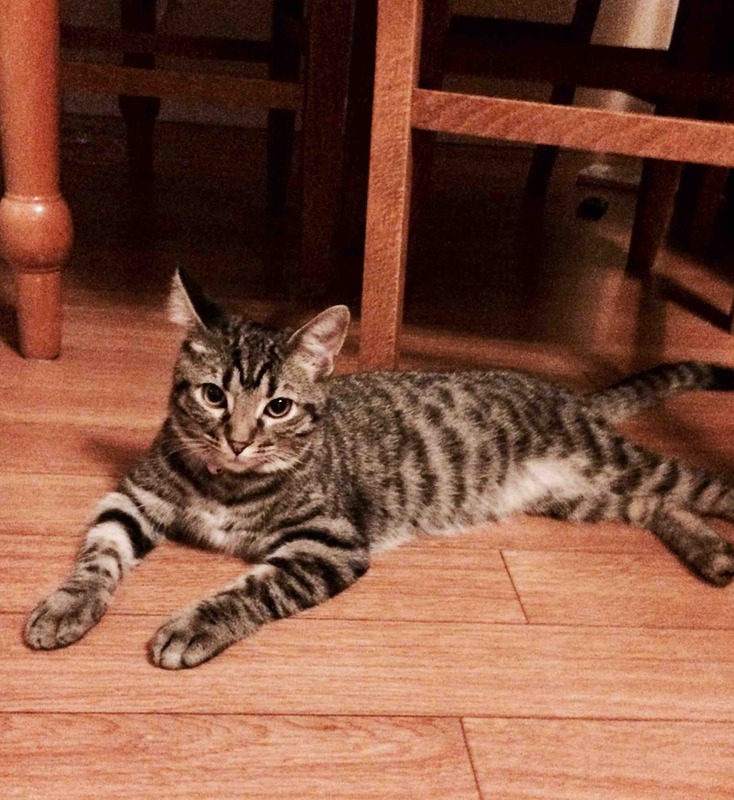 The behaviorist on staff has put a plan in place, and met with the staff to curtail this ongoing problem. Hey, it’s Nick’s world, the rest of us are just trying to keep up. The current fire alarm pull count is now 40 pulls since 3rd grade. While his speech is limited due to having a dual diagnosis of Down syndrome and autism, I can tell that he is very happy in this program. How do I know? When I wake him up in the morning he is excited to get dressed and out the door. The other day I was driving him and his buddy Josh to the site. Just before we crossed over the Fox River, Nick started saying “Keeler” with a big thumbs up. It warms my heart knowing that Nick is happy and contributing to society. That’s what is in my noggin this week. Blog #118~If You Can’t Fix It, Duct It! Blog #118~ If You Can’t Fix It, Duct It! I reported two weeks ago, that Nick’s talker (AAC device) has survived being dropped from the second floor of the Naperville Library and onto the railroad tracks off Montgomery Road. The case is sturdy but has taken a beating. Nick is 21 years old and has Down syndrome and autism. He’s a crafty one. It’s all we can do to keep up with his antics. The school team has come up with two things to secure his talker better. First, the team has devised a bumper around the iAdapter case with foam and duct tape to absorb the impact. I’m thinking that we need to patent this prototype. In addition, Nick has it tethered securely to his body with two straps (one over the shoulder and the other around his waist). Nick is using his talker to make requests for iPad, Sprite, food items. When he burps he pushes the buttons, “excuse me” or “that’s gross”. 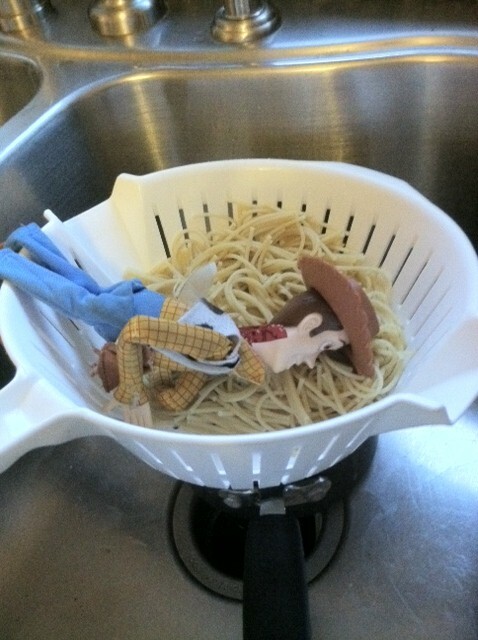 The other night I was busy doing laundry and getting dinner ready. He was getting impatient and growing tired. He proceeded to push “stop”- “I’m tired”- “I want to eat”. When he finished dinner, he pushed the buttons “finished” and “bedtime”. I’ve also noticed that he is using more verbal language since getting talker 2 months ago! At home I figured out a way to tether it to a shelf with Velcro straps in the kitchen so it’s accessible. So, between the straps and duct tape, we are staying one step ahead of big guy (at least for now). Hey it’s Nick’s world, the rest of us are just trying to keep up. That’s what is in my noggin this week! Nick’s behavior has been escalating over the last few months. He is 21 years old and has Down syndrome and autism. The incidences of throwing objects has increased. This also includes his new AAC Device (talker). 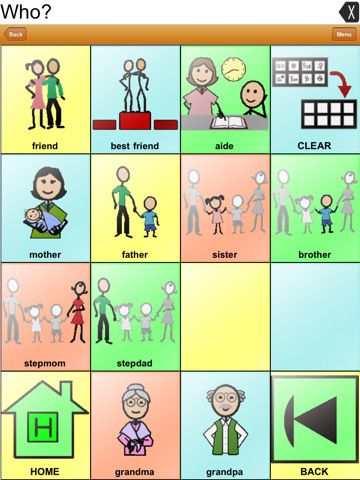 AAC stands for Augmentative Alternative Communication. 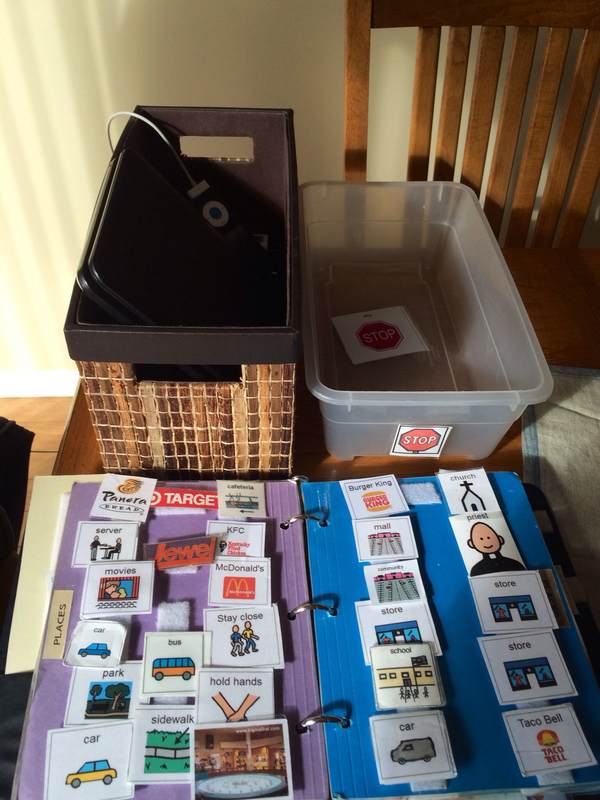 The school district’s autism specialist has done some observations of Nick and data collection of behaviors. I did this as well at home with Nick’s behaviors. The school team met last Friday to go over the observations and brainstorm on how to adjust his behavior support plan. A significant amount of the behaviors are attention seeking. The team is working on a system to reward Nick for being compliant. In addition, they will be utilizing his new AAC device to seek appropriate attention and making more requests and comments with it. He has been throwing the device both at home and school. The iPad is in sturdy enough case to survive a throw from the second floor of the Naperville Library as well as being pitched out the bus onto Montgomery Road at a railroad crossing. On a positive note, he is using the device well to requests food, rewards as well as making some comments like, “excuse me” when he lets out burps. He is learning how to navigate it with minimal prompts as well. 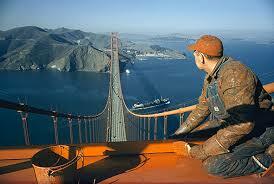 Nick’s behavior support plan is much like painting the Golden Gate Bridge. Just when you think it’s all done and figured out, a new behavior pops up and you have to start over again. That’s Nick’s world….. the rest of us are just trying to keep up. That’s what is in my noggin this week. For the past few weeks, I’ve been writing about the SETT meeting process. 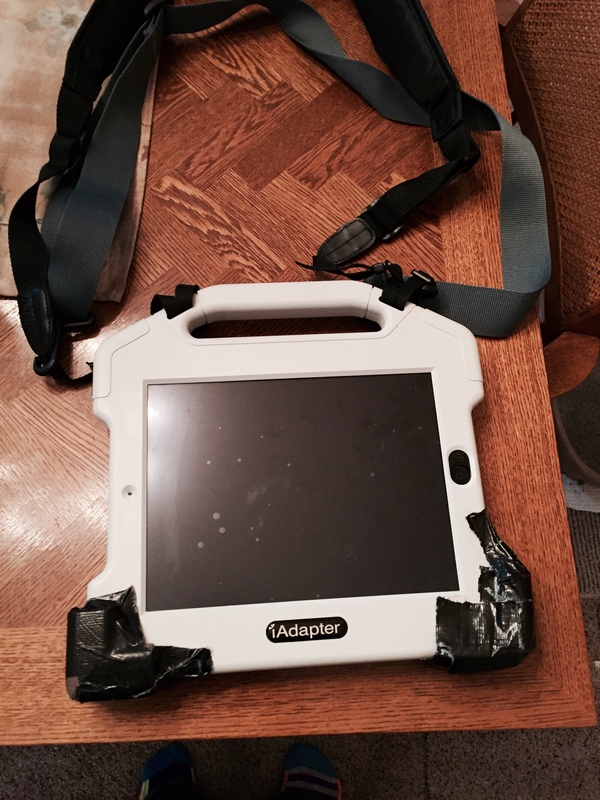 Recently, we did a SETT meeting at Nick’s school to re-evaluate the device he uses to communicate. 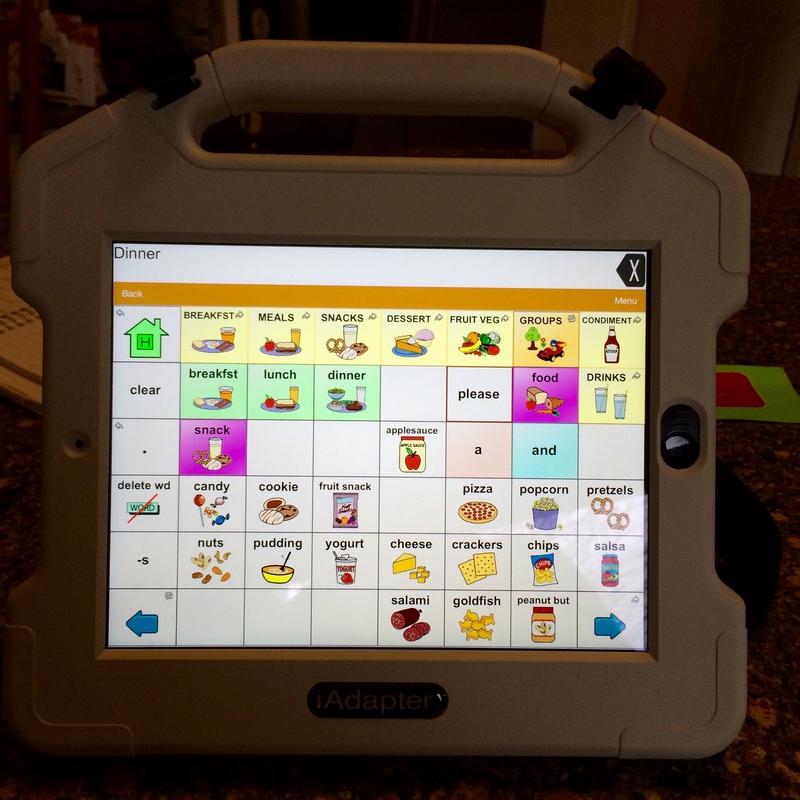 This is called an Augmentative and Alternative Communication device (AAC). Nick is 21 years old and has Down syndrome and autism. SETT is an acronym for Student, Environment, Task and Tools. The team gathered to ask key questions and get information that will help to pinpoint what technologies would best suit the student. The SETT process was enlightening. The team covered a lot of ground in looking at many aspects of communication for Nick. As you can see, there are so many things to consider when looking into a voice output device. 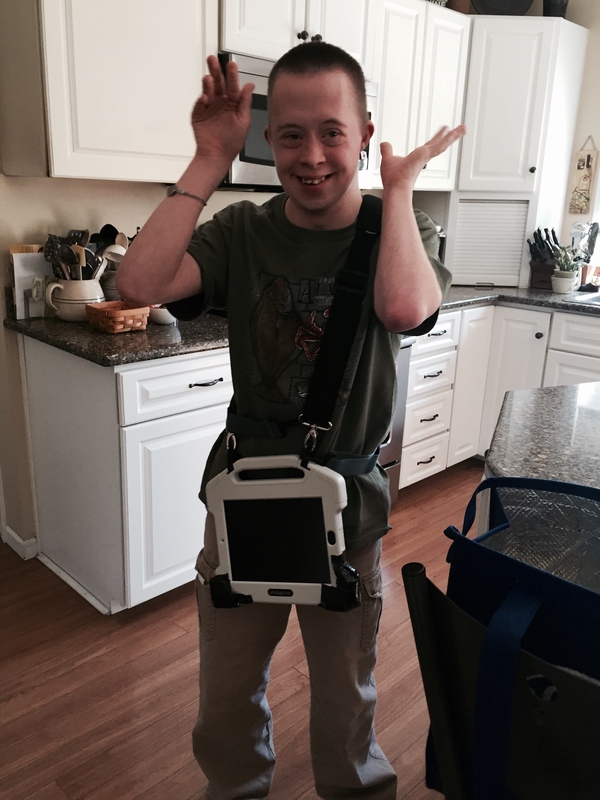 Nick just got his new AAC device last Thursday. I can’t wait to share with you how he is navigating it! That’s what is in my noggin this week! This should give you a sense of Nick’s attributes. Exploring a student’s abilities, needs and concerns is the first step in getting things in motion when looking at a communication device.